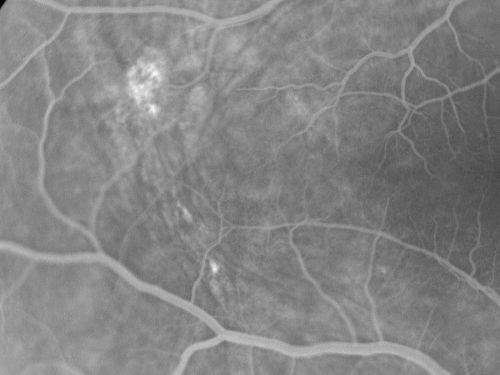 67-year-old woman with microphthalmos/nanophthalmos Her vision has gradually been getting a little bit worse, especially in the right eye. Also the anterior chamber is getting crowded and there is concern about the need for cataract surgery. She has one sister and one cousin who also have nanophthalmos. VISUAL ACUITY: OD 20/50, OS 20/80.